Its inevitable that readers face a lot of scrutiny from the general public for our chosen hobby – especially from people who might not totally understand why we choose to read the books we read. When I introduce myself as book blogger to someone who doesn’t read for fun, I get a lot of the standard questions, but the most popular is probably – What genres do you read/review? Those of you who know me well, know that fantasy and Young Adult fiction are my mainstays. They are the genres I return to time after time and will probably never get tired of. However, I’ve noticed that when you’re an adult in his 20-somethings, telling a non-reader that you like reading fiction written for teens and young adults, people often look at you like you have three heads. I’ve even been asked before why I always buy books written for teenagers. The full answer to that question is complicated and inspired the idea for this post, but there’s a very short answer to that question which I wanted to kick of this list with. 1. The stories are just plain awesome! Some of the most creative books I have read in my time as a book blogger have come from the Young Adult genre. Whether you want to travel through space on an intergalactic battleship fighting aliens and corporate overlords, or whether you want to journey to far flung fantasy realms filled with magic and danger, Young Adult has you covered. Even if you’re a fan of contemporary settings, there are some awesome offerings set in the present as well. I meet so many people who claim that “books are boring” – to those people I ask, maybe you’re just reading the wrong thing? 2. Formative stories that are easy to relate to! Everyone loves a good coming of age story. They’re found in every genre, and in a ton of movies and television shows. You know the cultural powerhouse Stranger Things? That’s a coming of age story centered in a man vs. the supernatural thematic context. But it’s still a coming of age story about kids just trying to survive against odds greater than themselves. This is what YA is all about! And they’re doing it well, and with critical acclaim. Contemporary YA stories like The Hate U Give by Angie Thomas are taking on subjects that are important to the conversation about race relations and police brutality that are ongoing in this country and in nations across the world. Novels like these in the Young Adult genre are culturally important and will stand the test of time as a reminder for where we once were, where we are now, and where we must go forward. One thing I love about YA stories is that they embrace the beauty of diversity inherent in humanity. Young Adult stories have become a celebration of diverse casts of characters, giving the opportunity for many stories to be told about demographics that have been sorely under-represented as a whole in publishing. Many stories are coming from Own Voices authors, who live and write characters from their perspective as a marginalized person. These stories work so well because they are truthful and honest. They are the way of the future and I do hope that as YA readers today become adult readers tomorrow, we see that embrace of diversity continue to unfold. It’s no secret that YA stories have the tendency to create very lucrative franchises. Trilogies or even longer series, as well as stand-alone powerhouse novels that are being tapped by Hollywood scriptwriters to become the next smash hit films. It began with Harry Potter, Twilight and The Hunger Games, and to the casual observer who isn’t well versed with YA it may seem like it’s ended there, but we book readers know better! So many of the popular movies being produced today got their start as young adult fiction – and it makes me so proud to see new life breathed into these characters on the big and small screens. Young Adult stories typically range between 300 – 500 pages on average. Even the longest stories tend to be so fast-paced that you can cut through them in just a couple of days. They’re perfect for book bloggers who need to crank out reviews with some frequency, but also they’re just a fun and quick read! And despite their brevity, you’re bound to find something to love in the stories you read: ranging from characters, setting, plot, romance, or anything in between. 7. There’s so much to read within the genre! The category “Young Adult” is deceptive in its nature, because it contains all of the other adult genres of literature that are typically separated out into genres of their own in book stores or libraries. I picked up Pitch Dark by Courtney Alameda a couple of months ago, and that was filled with enough death and mayhem to satisfy any horror fan. Maybe you’re a fan of suspense fiction? 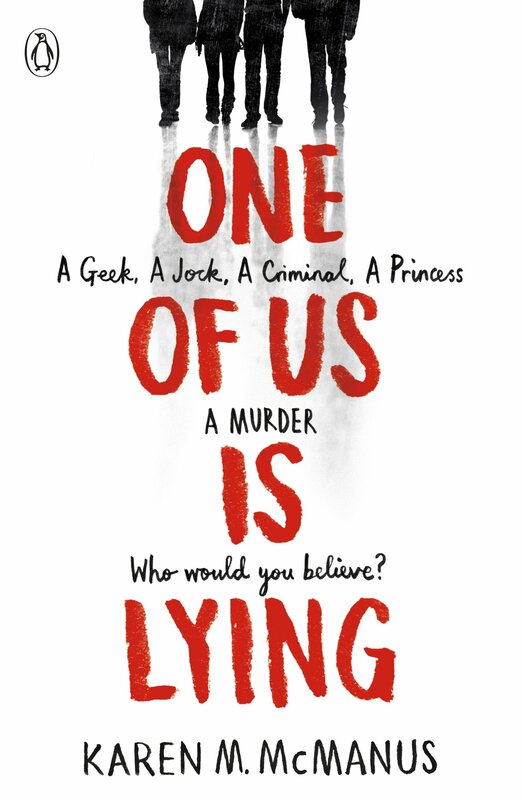 Books like One of Us is Lying by Karen McManus are sure to satisfy. Or if fantasy is more your game, you could check out literally anything written by Sarah J. Maas or Elise Kova – among many more. The examples are endless because YA is so all encompassing as a genre! Adult authors write children’s books all the time. Many of the world’s most acclaimed authors were authors of children’s books that became popular for readers of all ages. Take JK Rowling and Harry Potter for example. No one side eyes an adult reading The Goblet of Fire out in public because that franchise is so well known and lauded. It should be this way for every YA book. Scratch that – for any book period. It’s not what you’re reading, but that you’re reading at all. We spend too much time judging others for their choices in books. What works for me might not work for you, but I’m certain you can find something that will work for you within the genre. That’s it! That’s my list. Let me know if you think of more that I should include in another edition of this post. If you’re an adult reader looking for a book to entertain you in the future – or an adult who hasn’t picked up a book in years because “books are boring” – I hope you’ll consider a Young Adult novel in the future. Lets chat about this below! Are you an adult reader? Do you read YA? Why or why not? What other reasons can you think of, why more adults should give YA books a chance? Excellent points Bentley! I’m a contemporary YA reader and it’s not because I’m older that I don’t still feel young, ok or remember how it was. I think it might be more difficult to read a book where the protoganists are 80 years old, although I have seen that many readers liked Hendrik Green too… I like how they tackle tough subjects (death, cheating, impossible love) or are about that first sweet love, everything that works on your heartstrings. The only thing I regret is when I talk about YA or read myself about YA, it’s often presumed it’s a fantasy novel. I’m 28 years old, going on 29, and I complete know what you mean that we still remember what it was like to feel young. That’s very true that most people associate YA with fantasy!! I had not thought about that, but it’s true. Contemporary YA is often overlooked. Thank you Sofii! I’m 28 now and I still enjoy YA. 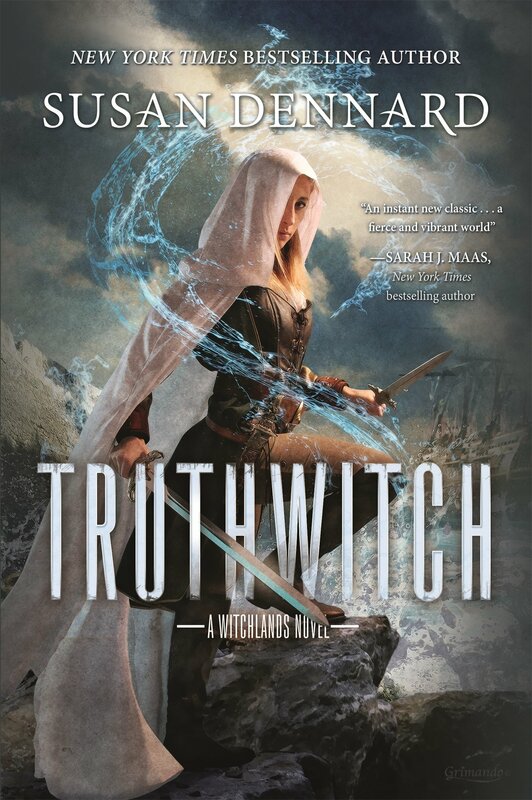 I have begun gravitating more towards adult fantasy and suspense, true, but YA still holds a lot of interest for me. I definitely think there should be no stigma about what anyone chooses to read. I’ve just turned 40 and still read YA fiction. Some may be a little too sweet for me, the boy meets girls books, but others like dystopia YA are great. Although there was an author on Twitter a few months ago who told a blogger in her 20’s she shouldn’t be reading her books as they are YA and not for her age. I thought that was really quite sad. I’m with you on YA romance. Contemporary romance stories in general are not my cup of tea, but I love all the rest of YA. That is crazy that an author said that!! Who was it? I actually can’t remember. It was a Twitter spat a few weeks back between the blogger and the author. I’m 29 and I still read YA, mainly because I find a lot of the books interesting. Also, as you mentioned in your post, there is something about the diversity and tackling tough subjects. Amazing post Bentley! I never really thought about YA they way you do. I’ve read a few and loved them since they were so easy and quick to read. But then I thought, what am I truly getting out of this book other than enjoyment? Not too much, but I’m willing to give it another chance. Any recommendations on a YA novel which goes deep? Thank you Matt!! I think for “deep” YA novels, for contemporary it would have to be T.H.U.G (The Hate U give) and for fantasy I would recommend Wonder Woman: Warbringer, which had great thematic content about racism, and feminism. Stephanie, I read Middle Grade too – review the books on this blog from time to time too! I completely agree that great stories transcend genre. I feel like your story and mine are very similar. I love that gay characters are getting better representation in books now than they were when I was a teenager. Good point about the market becoming oversatured with books that are similar to the powerhouse novels, but of lesser quality. I think that’s one of the big reasons why people tend to look down on YA – a lack of confidence in the material. But the good stuff is really, really good. Exactly! Come to think of it now, don’t all genres have their own oft-recycled tropes? I’ve had mixed experiences with YA this past year (prior to that, I hadn’t read YA since the Hunger Games). As with any book/series, it really depends on the genre, the writing, the story, etc., etc. YA reminds me of a time when I felt like the opportunities were limitless and I could conquer the world, before I grew up and life got in the way. Adult fiction feels more realistic, but I love that YA doesn’t have the same jaded feeling. Wow, Lily, I think you really solidified another great reason why I love YA books. I think you’re totally on the money that a lot of adult fiction tends to be darker – bleak and often times a little too nihilistic for me. I think that’s why I frequently return to YA fiction. Because it’s so full of hope. I totally get that, DJ! I love it! That is so awesome that your love for YA fiction led to a career as an author in the genre. Thank you for contributing to the discussion! Wow this was a really well thought out post! I loved all your points and I completely agree. YA is such a well rounded genre, you could read just about any type of story under its umbrella and that’s why I love it so much. It’s disheartening when someone judges you for your reading preferences. If it makes you happy, no one should care! Thank you!! One of the things I love the most about YA fiction is how all-encompassing it is. I don’t think enough non-readers or adults who lack an understanding of YA realize that. I had a discussion with my boyfriend about this because he mostly reads well researched historical fiction and said “don’t you want to read other books?” And I was like nope. No, I do not. And I told him basically everything you just wrote in that post and he finally understands. But most people don’t, apparently. I get laughed at way too often for the books I love and enjoy.. There are some YA books that I like, though being halfway through my 40’s I tend to read more adult fantasy’s, romance’s and thrillers. I’m with you! I’m 28, but I read a mix of everything. I like hopping between genres, because it keeps things interesting. I’m in my mid 30s and still read YA and even middle grade! Some of them are too overdramatic for my taste but I find a lot of them are well written stories that are also fun to read. I hear you about some YA seeming over-dramatic. I think if a YA book leans too heavily into angst, I tend to stop relating well to it. I prefer the ones with really exciting and compelling stories over the angst driven ones. Excellent post Bentley! I would add bonding with the kids. I’m a fourty something and I have two teenagers (well one is over 18 so…). I bought all their books based on what I loved in YA (I read in English and they read them in French) and it creates a bond. We talk about the characters, the values, the plot… And I get these looks because I read YA and I also read romance “oh you read romance * insert condescending smile*!”. Thank you, Sophie!! I actually almost included a point about reading YA to relate to kids. I’m glad you brought it up! I think parents should definitely be reading YA books. While I agree with all your points, you could have stopped after #1! Thats the best argument there is!! In high school I was always reading at least two books. My required reading for my English class and some other book of my choosing! One time my English teacher asked me why I read those books and not better books (i.e. classics) First of all I was shocked my English teacher was questioning what I was reading, he should have been happy that I was reading at all! Most kids my age didn’t read at all, let alone half of what I read! Secondly, I told him it was because I liked the stories!!! I loved reading them and if I didn’t like the stories then I wouldn’t read the book! Thank you!! I wanted to start my list with what I thought was the best/most important point. 🙂 I can’t believe your former English teacher said that to you! This is why young people turn away from books, when people around them shame them for their reading choices. I’m glad you told him what’s what and hope that he learned from the experience! Overall I really liked him as a teacher! He just was all about the classics haha. That was the only thing he ever did that bugged me. You listed excellent reasons for reading YA as an adult. I’d add a couple more that express my reasons. – I was a kid once myself. I can relate to a well-done YA novel because of my own coming-of-age experiences. Even when the characters face stuff I never did, (Potter, Hunger Games, The Hate U Give, to name a few) I can still easily put myself in that character’s shoes and I like imagining how – as adolescent me – I might have dealt with a character’s issues. – I didn’t get to read every great YA novel when I was a kid! I want and need to catch up! I’d have hated to miss Lucy Maud Montgomery’s series or The Day No Pigs Would Die – which I didn’t read till I was a grown-up! Thank you for contributing these points! You added some great ones. ^_^ I always put myself in characters shoes too. That’s why I so enjoy the greatest adventures in books like Harry Potter and The Hunger Games and Ready Player One. I also am revisiting a lot of series that I missed as a kid and teenager now that I’m an adult. It’s been so much fun! It’s really sad how much judgement YA books receive. In spite of its popularity, I believe it’s a very underrated category. I completely agree Cam! So many people unfairly judge YA because they just assume it’s all like Twilight (which received so much scorn because of the movies.) They’re definitely missing out because the genre continues to get better and better! I love YA. It’s fun to go back when times were simpler and the future was bright and shiny. I push YA to anyone who will listen…and I’m going to be 70 next month. Thanks for a terrific article which I’ll be re-blogging Saturday on Buried Under Books. Lelia, good point! I think that’s an important note actually, because if popular YA series were written by teens, it’s even more of a reason for adults to check them out. Especially parents of teenagers, as YA often tackles tropes and topics that are important to young adults. SAY IT AGAIN FOR THE BOOMERS IN THE BACK! I love this so much. It’s all true, and I really hate that they are even shelved as young adult. I love my YA books and I will fight until my last breath to defend why I read them. Katie, I agree with you that I wish YA books weren’t separated out to their own section of bookstores and libraries. I think it creates a social stigma that those are “teenage books” which is far from the truth! I do my best to convince skeptics to read Young Adult but Bentley at Book Bastion makes a really good case for it. I enjoy the occasional YA. Gets me nostalgic sometimes and they do have good stories! Hahaha I’m always on the lookout for the book police! I read YA Fantasy mostly because the real-life YA is too close to reliving high school, and blah- who wants to do that? I’m also tired of all the books- movie/tv show. It’s almost as if Hollywood has no original thoughts. I think it’s easier for YA books to address controversial issues because they can always be dismissed as “kids being kids”. It seems like if adults want to address controversial issues, more than likely it will be a Syfy, like Handmaid’s Tale. As far as other people concerned about what other people read- that’s just STEWPED. Terri, I pretty much solely read YA fantasy too. The contemporary stuff is great – and I think parents of teens today should probably check out those books for a glimpse into what is important to teens today, but like you, I prefer the escape of fantasy! This post needs to be shared! It’s so true! I’m going on 27 in a couple weeks and I know that YA will always be my go-to for books! I have a few patrons at work who are older than me that love YA fiction and they come to me for recommendations 🙂 Some people just don’t realize how good YA books can be. I’m 28 and I have no plans of dropping YA from my reading roster any time soon. I think the one positive is that as current YA readers get older, I think they will remain with the genre for a lot longer too. I feel of the YA books I’ve read thus far, the writing is fresh and real and so relatable. I am loving this genre! Yes, all great points and so true I am 35 turning 36 in a couple of months and I still read YA and I probably will still read it for the rest of my life. I just love YA for all the reasons you said Bentley and YA books also helps me a lot with my Mental Illness as well. Thank you so much for sharing your awesome post. I love it! I’ve always read YA and I usually regret picking up an “adult” book because the pacing is usually so slow! There’s just something about reading about teens, maybe it’s getting to relive those pivotal times in our lives, but without actually HAVING to experience high school again? Incidentally, I’ve never had anyone give me a weird look for reading YA! I feel you about some adult books having really slow pacing. I prefer the fast paced stories as well! Thank you Danielle. I’m with you about the lessened time commitment of YA being quite nice. I work full time too, so it’s sometimes a struggle to find the time to read anything, let alone some books that require a lot of time/attention to comprehend. I am a teen librarian, so I read a fair amount of YA books, as I order them (and graphic novels) for my library. The genre as a whole is incredibly strong with so many authors putting out quality novels! Great points! I am 30 and I mainly read YA for all the above reasons, plus, I like to think we are still technically “young” adults, haha. I really just love the imagination behind the stories and how they transport me to their worlds better than most adult stories do. Thank you! I so agree. I’m 28 years old and I consider myself a Young Adult still, though I know some others might not. I have no plans on slowing down on my YA book obsession any time soon. Great post, and very spot on. I feel that, like most forms of art, literature is afflicted by a terrible plague of snobbism. I am french and I can tell you that in France they not only look down on YA but also on the imaginary genres in general (eg SFF). And I think that’s very sad. I considerer myself an eclectic reader, my favorite genre is SFF, wether it be middle grade, YA or adult, but I also read non fiction, and philosophy, and contemporary and classics etc. And NEVER have I thought one genre is better than the other. I am a mood reader, and I will pick up whatever I’m drawn to in the moment. The fact is that more often than not, it happens to be YA. Some people feel the need to defend themselves and justify reading YA as a “guilty pleasure”. Why is that? If you enjoyed it, if it brought up any kind of emotion, if you couldn’t put it down, if you stayed past your bedtime to read it: it was a good book. Period. Find me someone who tells you that the years they were a Young Adult weren’t amongst the most intense/formative/transforming years of their lives and I will call them a liar. And there lies the strength of YA as a genre: it captures that essence. On that note, keep on reading! What a thoughtful reply! Thank you for taking the time to convey it. I agree with you that literature has become a victim of snobbery! It boils me that SFF books are so looked down upon in general. Even authors within that genre look down on it – like Terry Goodkind, who refuses to accknowledge that he’s a fantasy author even though he’s written dozens of SFF books at this point. My favorite genre is definitely SFF, and YA SFF, and it gets me down too that people look down on the genre. An awesome blog post! I love all the points you made, complete with wonderful examples! Isn’t it strange how people think it weird to read young adult novels, but don’t think its weird to watch television shows or movies that have basically all the same conventions that make it a YA piece? Thank you Lydia, I’m so glad you enjoyed this – and I’m glad it spoke to you, as a teacher of Young Adults. You are totally right that no one shames people for watching TV shows or movies about young adults. Ironically, a lot of YA novel to movie adaptations end up becoming extremely popular across all demographics. But still, some people refuse to give the genre a chance. I’m 26 and those looks you mentioned are all too familiar! While I mainly read YA as well, I’ve found that I tend to stay away from books with 16 year old main characters. It’s sad, but I relate less and less to them now. I wish I could find more book with characters in their early twenties, but they’re not really categorized that way so it takes some digging! I do find it odd how NA has not yet exploded as its own genre the way that YA really has. I think as more and more Young adults today age up – and start writing books themselves – there’s a real likelihood that NA will begin to really develop the same way that YA has. I hope anyway! I’m 45 and didn’t discover the joy of reading young adult books until a few years ago. What was I missing?!? Young Adult is now my favorite genre. I even wrote a rather saucy faerie novella that I just published on Amazon. LOL.